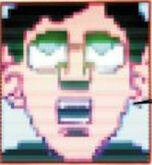 Powers/Abilities: Graham could project his mind into computer games and manipulate their coding, and creating his own avatar within the system. However, his computer knowledge was several decades out of date, and he did his coding in BASIC, finding newer machines and more complex coding languages difficult to work with. 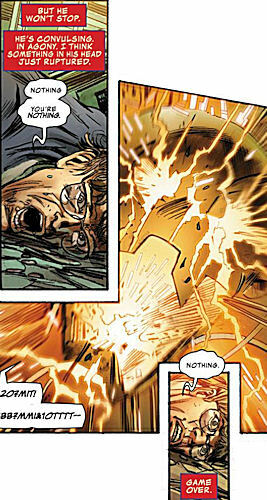 When he entered the London Ultron controller's cyberspace, his physical body collapsed; whether this was a normal feature of his power, or because the controller was much more complex than the systems he normally interfaced with, or because it had been years since he had last tried to seriously use his power, remains unconfirmed. The strain of fighting such a complex program and machine severely taxed Graham's out-of-practice mind and body, and ultimately caused something to rupture in his mind, apparently killing him; however it is feasible that his mind survived his body's demise, and remained active in cyberspace. 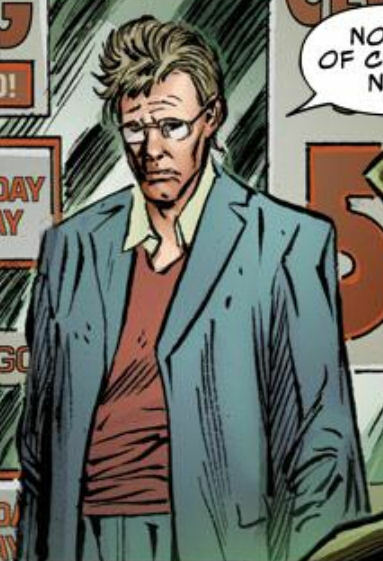 History: (Avengers Assemble#15AU (fb)) - In the 1980s, Graham Toulson was a bedroom coder, a kid who wrote his own computer games, but unlike his peers doing the same, Graham had the advantage that he could somehow enter the game, allowing him to manipulate the coding from within and control his virtual avatar as a direct extension of himself. 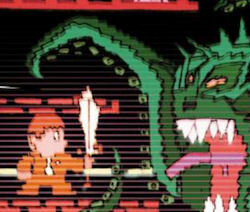 He discovered that at least some of the protagonists in the games, the monsters and the would-be conquerors, were trying to break through from the computer world to the real one, and he spent years battling to contain them, stopping foes such as Doomdarke, Macaroni Ted and the Chief Examiner. (Avengers Assemble#15AU (fb) - BTS) - Graham's heroics became public knowledge, and he gained the (somewhat unimaginative) nickname "Computer Graham," a name he was embarrassed about and quick to point out was not his idea. Eventually, as home computers got more complicated, he retired, uncomfortable trying to interface with anything more complex than a Commodore 64. Years later his story was recounted on nostalgia show "I Love the Eighties." (Avengers Assemble#15AU) - Decades later Ultron's forces invaded Britain. Shortly after this event, in a now-largely uninhabited London, Graham was caught on the street by a trio of Ultron-1s. Perhaps having come out of hiding to test if his powers could work on the Ultrons, or else just trying to avoid being slain, Graham suggested that instead of killing him the robots should have a cup of tea, but this failed to work, and he chastised himself quietly for ever hoping it might. As the robots told him to "submit or perish," he dryly queried whether it should be "exterminate" (the catch-phrase for the Daleks in Doctor Who) instead, a suggestion the robots surprisingly took up. Realizing he had managed to influence them after all, albeit in a useless manner, Graham sarcastically congratulated himself for teaching the robots something, then berated his captors, pestering them to just get on with killing him if that was their ultimate intent. Before they could do so, however, Captain Marvel came to Graham's rescue, swiftly destroying the robots, chastising Graham for just standing around in the open risking his life, then hoisting him over her shoulder to carry him as she leapt away moments ahead of the arrival of more advanced Ultrons. Dodging their energy blasts, she carried the squirming and apologetic Graham to the British Museum, shielded from the robots by the magic of Excalibur combined with Captain Britain's Amulet, enhanced and empowered by the many artifacts housed within the museum. Captain Marvel lead the queasy Graham inside, where he was recognized by superhero fan Faiza Hussain. Believing he might be able to help their cause, at her request he recounted his history fighting threats from within the computer, prompting Captain Britain to suggest he help them strike back against Ultron. Graham acquiesced, but reminded the two Captains that he was not much of a fighter in the physical world. 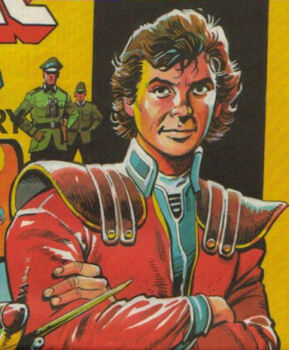 Accompanied by Captain Britain's student, Magic Boots Mel, Graham and the two Captains covertly made their way from the museum to St. Paul's Cathedral, which now housed the Ultrons' main staging post in London. Graham watched, unable to help, as the others battled the robotic guards, but when they entered the cathedral they were confronted by a giant Ultron head, apparently the co-ordinator for the robots in Britain, protected by dozens more robots. Drawing on his anger over all the innocents Ultron had slain, Graham began pushing the co-ordinator's computer brain, trying to gain access, but the strain visibly mounted on him as he did so, until he began to bleed from the mouth, convulsed violently, then collapsed face first. While the others fought the extra robots, Graham's avatar entered the surprised Ultron's cyberspace world, taunting it for just being a bit of code until he goaded it into attacking him. As Mel and Captain Britain both died, Graham continued to push until something inside his head ruptured. Despite being in agony, the convulsing Graham persisted, telling Ultron it was nothing and severely damaging it before he expired. Though he had failed to slay his target, his valiant effort left it weakened, and before it could heal itself, Captain Marvel destroyed it by blowing herself and St. Paul's Cathedral up. 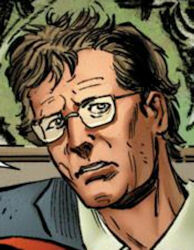 This is the Age of Ultron's Computer Graham; since that reality only recently diverged from Earth-616, there is presumably a Computer Graham who was active on Earth-616 and, unlike this one, is still alive. With no mention of how he gained his power, he might be a mutant, mutate, Inhuman, magically-empowered, etc. The references to Graham being a teen in the 1980s are a topical reference, but, like such references that tie characters to specific wars, will be come increasingly problematic in decades to come. For his origin to work, he needs to be a child of the early home computer era, back when kids were coding their own games at home. 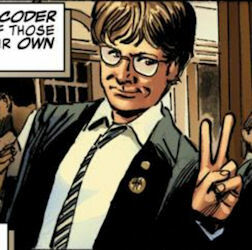 Like his fellow freedom fighter, Computer Graham harkens back to old British comics, in his case a strip from the 1980s revived Eagle comic, Computer Warrior, which starred young Bobby Paterson, a schoolboy who used a code to access computer games and compete in them for real. The games featured in the strip were actual real world games, so the strip effectively worked as an advert for them. In the same way, the trio of foes Computer Graham faced back in the 1980s are from genuine computer games of that era, two British and one American - Doomdark (no E) was the villain of Lords of Midnight, released in 1984 initially for the ZX Spectrum, then later the Amstrad CPC and Commodore 64; Macaroni Ted hails from Jet Set Willy, another Spectrum game; while the Chief Examiner comes from Adventure International's Questprobe series, and has a "real world" counterpart in Reality-616.